Gym Strength Machine. High Quality Roman Chair for sale. The Fitness Equipment Roman Chair is the ideal for training of the back muscles. The pad height setting allows for 9 different positions and it has a wide footplate for exercise variations. It features 2 integrated plate holders, also accessible from workout position. This Technogym Series Roman Chair Machine is perfect for gym fitness. 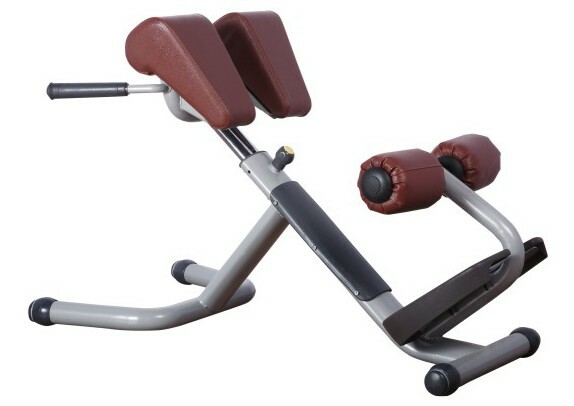 Looking for ideal Fitness Equipment Roman Chair Manufacturer & supplier ? We have a wide selection at great prices to help you get creative. All the Gym Fitness Equipment are quality guaranteed. We are China Origin Factory of Roman Chair Machine. If you have any question, please feel free to contact us.